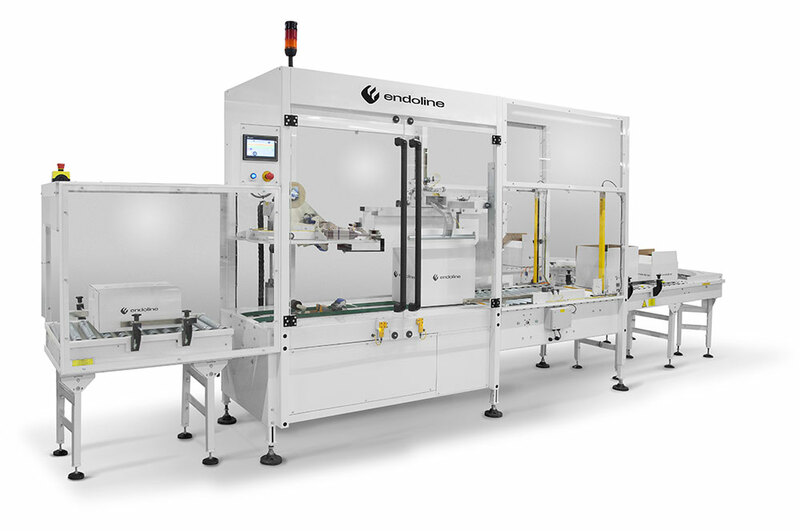 The Endoline type 704 case sealer is a fully automatic random case taper that seals boxes with self-adhesive tape in random order and does not need an operator. It can seal small and large cases and adjusts automatically to the random sizes. The type 704 is very simple to operate and maintain and it has been specially designed with a unique four column construction to provide added stability to run 24 hours a day, 7 days a week with minimal down time. The type 704 case sealing machines can handle cases between 200-600mm length, 140-480mm width and 110-480mm height. Up to 14 cases per minute dependant on case size. 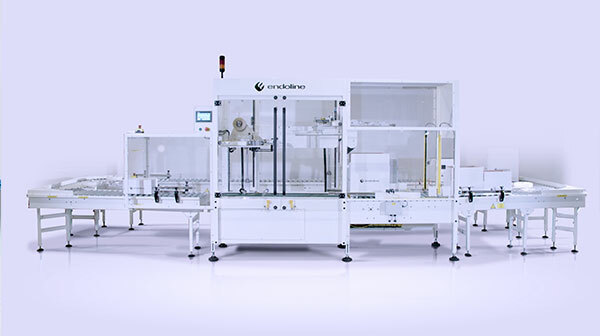 This machine will automatically adjust its settings to close and seal 0201 cases throughout the full case size range in any random sequence. This machine can operate on small and large cases at speeds of up to 14 cases per minute.